CHANDELIERS. MADE. OF. PAPER. Sounds incredible, doesn’t it? You can witness it for yourself. Just step into UB City during Bengaluru By Design festival. Crafted from rye straw and paper, Pajaki (pronounced pah-yonk-ee) are traditional Polish chandeliers whose history dates back to the mid-18th century. Suspended from a ceiling in a main room, in spider-like fashion, amongst colourful paper cut-outs, paintings and paper flowers, they became a popular decoration in polish village houses and were considered a symbol of harvest and happiness. They were made as decorations for occasions like Christmas, Easter, weddings and christenings. We are infusing Bengaluru with this quaint Polish tradition with the help of Karolina Merska, a pajaki maker from London. 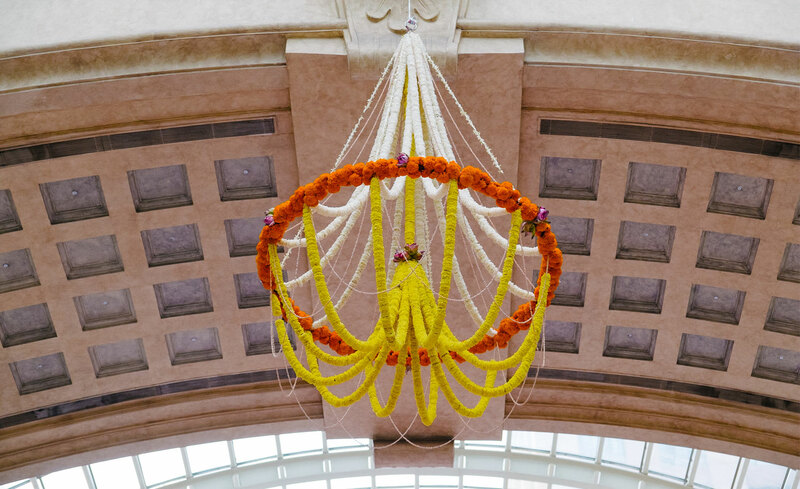 This installation reimagines the traditional craft form creating a contemporary gigantic paper chandelier that will be suspended from the ceiling at UB city. Karolina reinvents age-old techniques and adds contemporary and local elements, to create a modern-day interpretation. 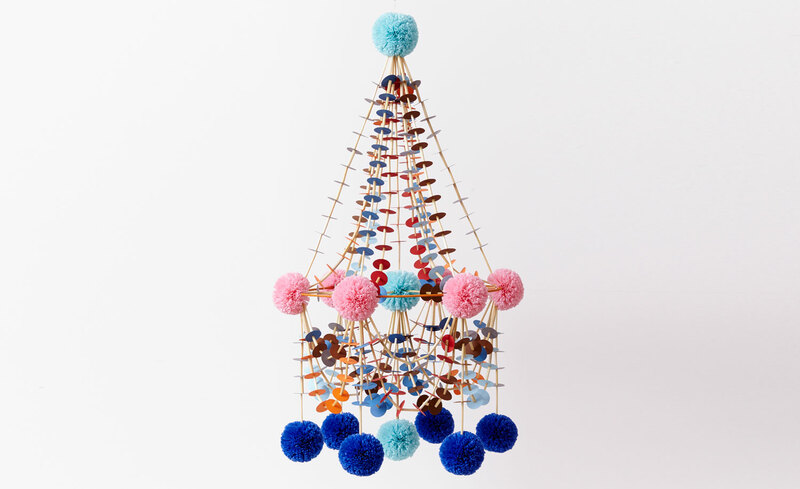 The Artist: Karolina Merska, a contemporary designer and maker living in London, keeps the Pajaki tradition alive by contemporizing the craft form through her installations and training. Her geometric chandelier, that makes use of reinvented old techniques, was displayed during the London Design Festival 2017. Her work has been featured in the publications like World of Interiors, House and Garden, Elle Decoration, Elle Decor Italia, Harpers Bazaar and The Telegraph.